December 2015:Tah-Heetch Lodge members please pay your dues for the 2016 year. Download the form here or register online here. 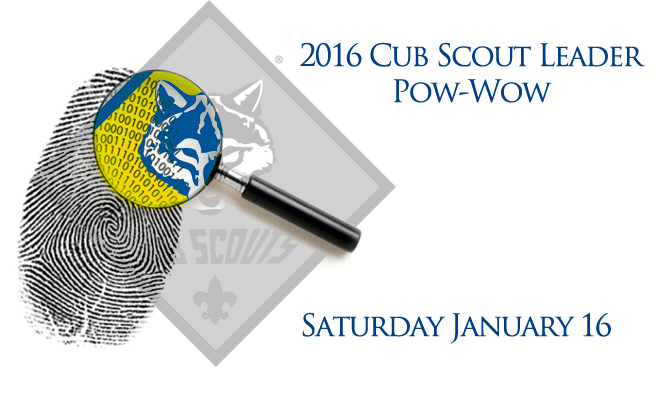 January 16 2016:Cub Scout Pow Wow. January 18 2016:Martin Luthor King Jr. Day, Offices Closed. January 23 2016:Tah-Heetch Lodge 195 Annual Banquet. Register online here or download the form here. February 3 2016:Civics Day Thunderbird. February 5 2016:District Dinner Live Oak. Register online here or download the reservation form here. February 6 2016:District Court of Honor Thunderbird. February 6 – 13 2016:Scouting for Food Riverbend. February 8 2016:Scouting Anniversary Day. February 15 2016:President’s Day Offices Closed. February 19 – 21 2016:Klondike Derby at Camp Chawanakee. March 5 2016:Adult Leader Training Register online here or download the form here. March 6 2016:Council Annual Volunteer Recognition Dinner and Eagle Scout Recognition Dinner. Register online here or download the registration form here. March 12 2016:Adult Leader Training Register online here or download the form here. March 13 2016Daylight Savings TIme Begins. March 19 2016:Commissioner Basic Training Register online here or download the form here. March 25-26 2016:Basic Adult Leader Outdoor Orientation. Register online here or download the registration form here. March 25-26 2016:Introduction to Outdoor Leader Skills. Register online here or download the flyer here. March 25 2016Good Friday, Offices Closed. March 31 2016:Adult Leader Training in Fresno. Register online here or download the form here. March 31 2016:Adult Leader Training in Visalia. Register online here or download the form here. April 6 2016:Central Valley Camp Leader’s Meeting. One of three meetings hosted by the Camp Managament to help you unit get ready to come to camp. This will be broadcast online. Click here for more information. April 22 – 24 2016OA Section Conclave – Camp Royaneh. May 21 2016:Trainer’s Edge. Register online here or download the registration form here. May 30 2016:Memorial Day, Offices Closed. June 11 – 13 2016:Shavuot. June 13-17 2016:Thunderbird District Day Camp Register online here or download the registration form here. June 13-17 2016:Riverbend District Day Camp Register online here or download the registration form here. June 13-17 2016:Live Oak District Day Camp Register online here or download the registration form here. June 21-25 2016:Live Oak District Porterville Day Camp Register online here or download the registration form here. June 20 – 25 2016National Youth Leader Training NYLT. Find out information here or register online here. July 4 2016:Independence Day Offices Closed. July 18-22 2016:San Joaquin District Day Camp Register online here or download the registration form here. August 26 – 28 2016:Club Chawanakee Session 1. September 2 – 5 2016:Club Chawanakee Session 2. September 5 2016:Labor Day Offices Closed. September 9 2016:Popcorn Show & Sell Popcorn Pick up. September 16 2016:Mexican Independence Day. October 15 2016:Jamboree On the Air. October 21 2016:“Show and Sell” Popcorn Return Deadline. October 25 2016:Popcorn: Last day to place “Take Order” orders online and place Prize Orders online. October 21-22 2016:Basic Adult Leader Outdoor Orientation. Register online here or download the registration form here. October 23 – 24 2016:Introduction to Outdoor Leader Skills. Register online here or download the flyer here. October 28 – 29 2016:Cub Scout Family Outing. registration form here. Download the program overview here. November 25 2016:OA Fall Fellowship. November 6 2016:Daylight Savings Time Ends. November 11 2016:Veteran’s Day Office Closed. November 18 2016:Pick up “Take Order” Popcorn at Designate sites. November 22 2016:Westide Distinguished Citizen Luncheon. December 2 2016:Popcorn $ due to Council for Extra 1% Commission. December 2 – 3 2016:OA Lodge Leadership Development. December 8 2016:Visalia Trading Post Holiday Open House. December 9 2016:All Popcorn Money Due to Council Offices by 5 PM. December 10 2016:Commission Reduced by 10% For Unpaid Popcorn Money. December 10 2016:Commissioner Basic Training. December 30 2016:Unit Charter Renewal Application due in Offices by Noon. December 30 2016:Offices Closed at Noon. December 31 2016:New year’s Eve. Silver Beaver Nominations are due in the Fresno Scout Office by December 31st.